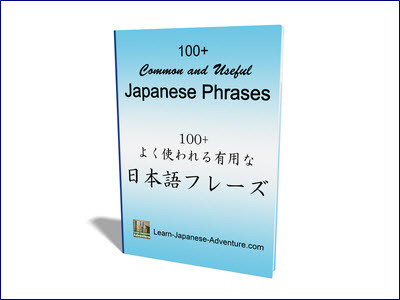 Japanese particles か (ka) and も (mo) can combine with the question words to form other words in Japanese. So far you have already known that the question words for 'what', 'who' and 'where' in Japanese are なに (nani), だれ (dare) and どこ (doko) respectively. If you add the Japanese particle か (ka) to なに (nani), だれ (dare) and どこ (doko), the Japanese words for 'something' - なにか (nanika), 'someone' - だれか (dareka) and 'somewhere' - どこか (dokoka) are formed respectively. What does the above rule mean? Let's use some examples to show. Meaning: I will drink coffee. Meaning: Yes, I will drink something. I will drink coffee. You can see that when using the word 'something' なにか (nanika) in the above question, you do not need the Japanese particle を (wo), and the question becomes a Yes/No question (question requires you to answer yes or no). When answering the above question, you can omit the part on "I will drink something". You just need to say what you are going to drink. Meaning: Yes, teacher is in the classroom. 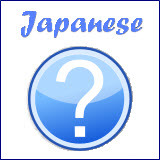 When you are using the word 'someone' だれか (dareka) in the above question, you do not need the Japanese particle が (ga), and the question becomes a Yes/No question. Meaning: I am going to school tomorrow. Meaning: Yes, I am going to school tomorrow. As you can see, different from 'something' and 'someone', even when you are using 'somewhere' どこか (dokoka) in the above question, you still need the Japanese particle へ (e), and the question has become a Yes/No question too. 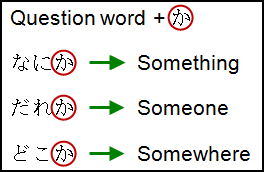 All the above examples have shown whether Japanese particles are required when you are forming sentences using the words 'something', 'something' and 'somewhere'. Instead of adding the particle か (ka), if you add the particle も (mo) to なに (nani), だれ (dare) and どこ (doko), the Japanese words for 'nothing' - なにも (nanimo), 'nobody' - だれも (daremo) and 'nowhere' - どこPも (doko P mo) are formed respectively. Meaning: Are you going to drink something? Meaning: No, I will drink nothing. As you can see from the above answer, when you are using the word 'nothing' なにも (nanimo), you do not need the Japanese particle を (wo) and the sentence need to be in negative form. The square bracket [ ] indicates that the words inside the bracket are optional. Meaning: Is there someone in the classroom? Meaning: No, there is nobody in the classroom. When you are using the word 'nobody' だれも (daremo) in the above answer, you do not need the Japanese particle が (ga) and the sentence need to be in negative form. Meaning: Are you going somewhere tomorrow? Meaning: No, I am going nowhere tomorrow. As you can see from the above answer, when you are using the word 'nowhere' どこ + Particle + も (doko Particle mo), you still need the Japanese particle へ (e) (in this case), and the sentence need to be in negative form. 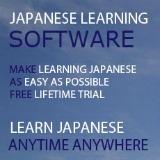 Note that どこも (dokomo) can mean 'everywhere' or 'anywhere' if it's used together with positive form sentence. Meaning: The hotels were all booked.